At arguably the most chaotic congress ever, delegates were denied the right to move censure motions on the elected General Secretary (GS), disrupting the first day’s business, yet sector conferences saw new delegates bring the spirit of the USS pensions and FE pay strikes to the debate. Both conferences carried important motions that pave the way for a real fight that puts equality, anti Casualisation and transparency front and centre of our campaigns. The message should be to organise, escalate and act to win the battles and build the union, but a barrier to democracy has been thrown in our path. People are going to hear stories and will want to know what lies at the heart of the disruption. We can’t ignore the argument over democracy and the right of members to hold elected union officers to account. Motion 10 called for the resignation of the GS and motion 11 for her censure over the GS’s decision to go over the heads of HE branch representatives attending a specially convened meeting on 28 March, deny them a vote on UUK proposals and then use the full machinery of the union to “sell” the proposals directly to members. These motions were tabled for the agenda several weeks ago. Conference Business Committee (CBC) deemed them appropriate. On the eve of Congress, supporters of the GS’s position developed a campaign to deny us the right to hear these motions. The argument put to shut down the debate was that the GS cannot be criticised by Congress because she is an employee of the union and Congress cannot recall her appointment or censure her. Any complaint must be dealt with by staff disciplinary procedures. This fails to recognise that the GS is elected by the members and must be subject to recall. Unlike all of the other staff members, the GS is answerable to the membership as our lead negotiator and representative. Congress is the collective voice of the membership. The views debated here guide the policies and strategies of the union. It is the place where we assess the successes and difficulties of the previous year in order to take the fight forward. It is the sovereign body of our union. The National Executive is tasked with seeing that policies are enacted, and they are answerable to Congress on how they go about implementing them. 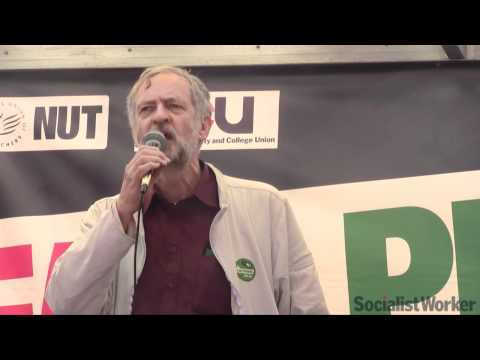 It is not the job of the NEC to stifle debate, ban censure and block recall. To argue that criticism of the GS’s actions can only be dealt with by a complaint through the staff disciplinary procedures is not correct and prevents the GS from being censured. The GS has the right to argue in her defence at Congress, and if her position is not upheld, then due process happens. Members cannot allow motions voicing criticism of the role of elected officers of the union not to be debated just because elected officers don’t agree with them. That’s democracy. 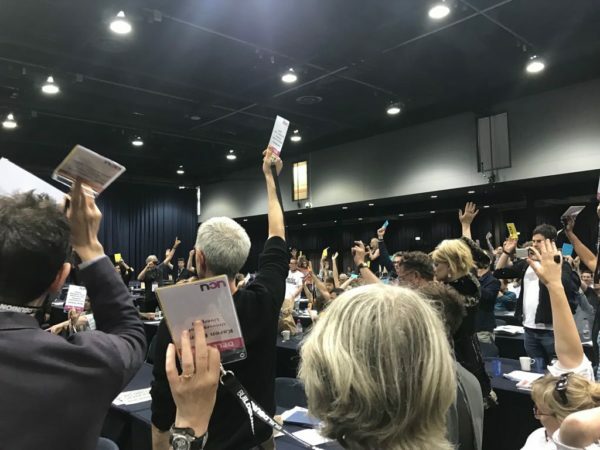 At the end of Congress, 130 UCU delegates met and it was agreed that London Region would call a national meeting as soon as possible on UCU democracy, building the pay campaign and what kind of union we want. The meeting will be held on Saturday 9th June at 2pm central London venue tbc.